Four UGM students received scholarships to join 2018 International Summer Course (ISC) on Advanced Marine Biology at Sugashima Marine Biological Laboratory (Sugashima MBL), Nagoya University, Japan, from July 13th to 17th, 2018. Those selected students are Basith Kuncoro Adji (Biology 2014), Anggun Cinditya Putri (Biology 2015), Putri Eky Pratiwi (Fisheries 2014), and Surono Dwi Saputra (Graduate student, Biotechnology 2017). 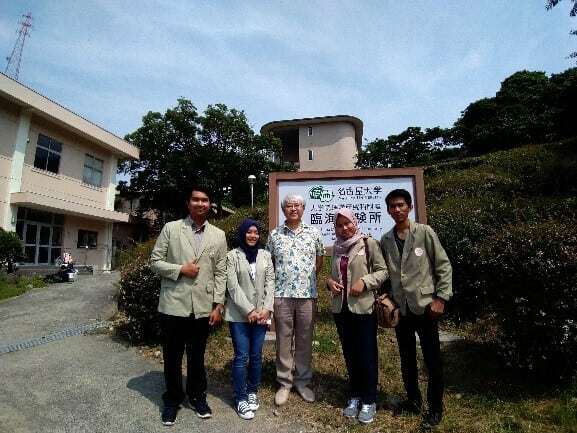 This ISC program is an ongoing cooperation between the Faculty of Biology UGM and Nagoya University and has been going on for the last 4 years. 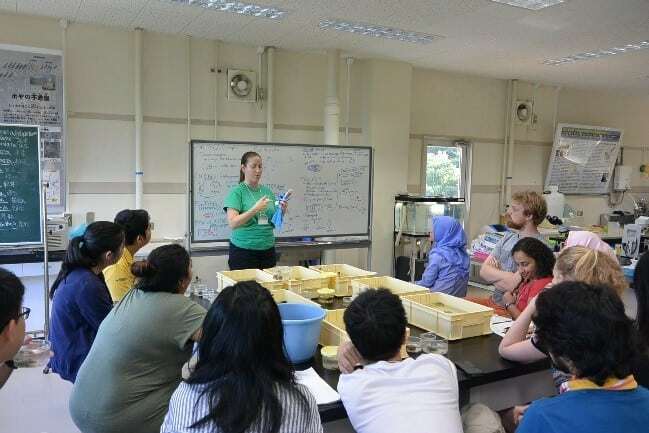 ISC at Sugashima MBL is a summer short course which held by Nagoya University, targetting undergraduate and graduate students who have strong interest in marine biology as participants. ISC 2018 was attended by 13 participants coming from several countries such as G30 program students with Japan, Vietnam, Singapore, India, and Mongolia nationality, and also NUPACE program students from Norway and France. Doctoral student from Kyoto University with the Philipines nationality and Post-Doctoral Fellow from Stone Brook University with the USA nationality also attended this summer course. 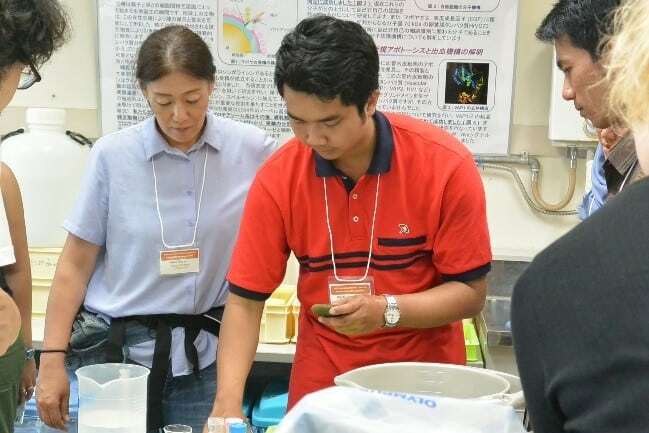 All participants had the opportunity to do marine exploration in the intertidal zone of Sugashima Island to collect marine invertebrates and learn basic taxonomy of collected animals. 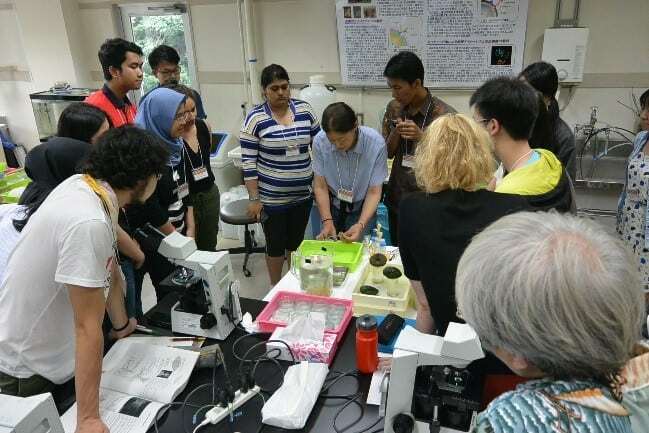 They also learnt the fertilization process and early development of Sea Urchins and Ascidians. 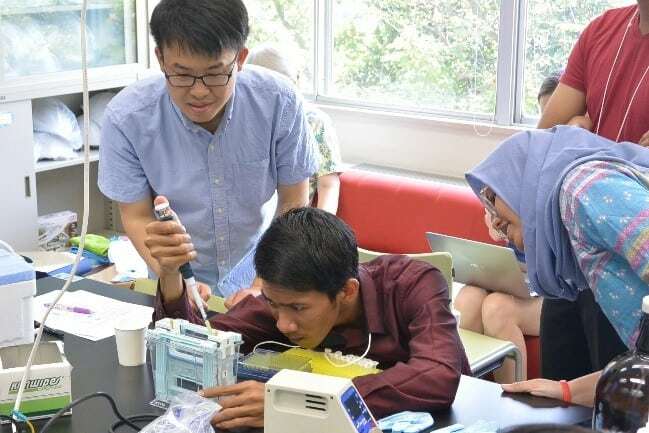 Moreover, they were introduced and had the opportunity to learn molecular phylogeny analysis, genome editing techniques using TALEN, and proteomic analysis which are recent development in molecular biology. 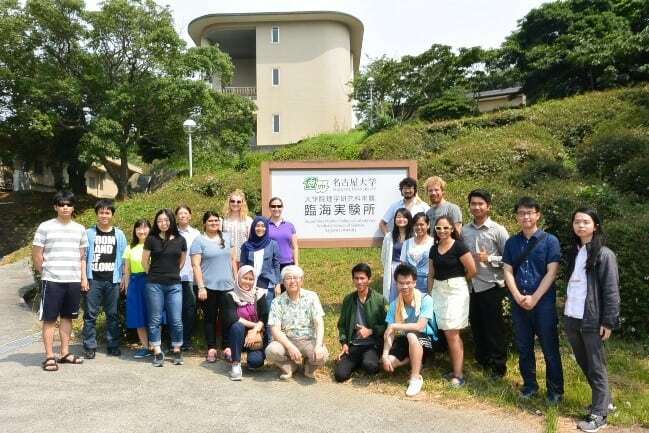 The courses were delivered by Professor and Director of Sugashima MBL, Prof. Hitoshi Sawada, and other instructors such as Dr. Lauren Stefaniak, Dr. Maki Shirae-Kurabayashi, and Dr. Yukinobu Isowa. 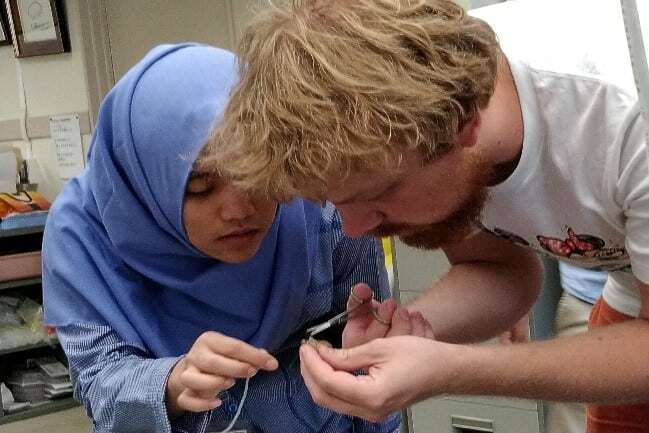 Through the 2018 ISC program, participants are expected to develop their abilities and skills to conduct marine biology researches especially in Indonesia, to broaden their international scientific relations among participants, and to learn various cultures around the globe. Moreover, it is also expected that this program will strengthen the cooperation between Faculty of Biology UGM and Nagoya University and be a milestone to do research colaboration in the future.